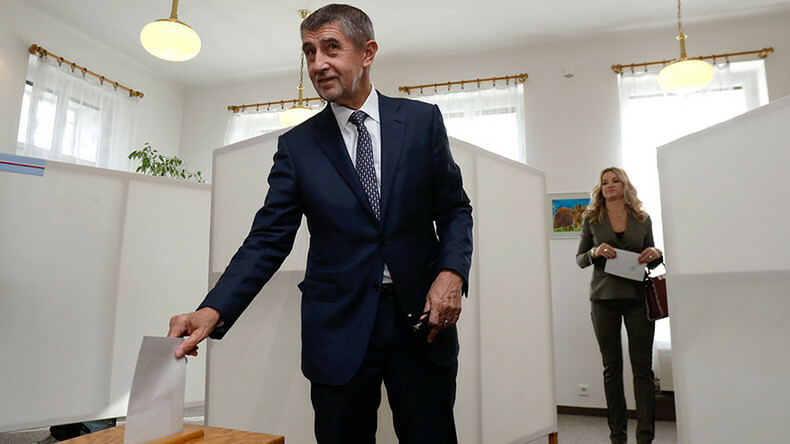 The populist Czech ANO movement led by billionaire Andrej Babis, dubbed ‘the Czech Donald Trump,’ is poised to win the eastern European country’s elections by a wide margin, according to the exit polls. The center-right, euroskeptic ODS came in second. ANO, which means ‘Yes’ in Czech and also stands as an acronym for the ‘Action of Dissatisfied Citizens’, has taken a clear lead in the election with more than 30 percent of the vote, beating its closest rivals by around 20 percentage points, according to exit polls cited by the Czech media. The center-right, euroskeptic Civic Democratic Party (ODS) has come in second, securing about 11 percent backing. The third and fourth places were taken by the Czech Pirate Party and the anti-immigrant and anti-Islam far-right populist Freedom and Direct Democracy Party (SPD), which both gained slightly more than 10 percent with the difference between them amounting to several hundredths of a percent. The polls also show that five more parties have cleared the 5 percent hurdle to get into parliament, including the Communist Party of Bohemia and Moravia, the Social Democrats, the Christian Democratic Union and the TOP 09 movement, as well as the movement of Czech mayors and independents. The exit polls’ results demonstrate a significant shift to euroskepticism in the Czech Republic as all the three leading parties represent anti-establishment forces in one way or another. Babis, who leads the ANO movement, is particularly known for his skepticism about the euro and severe criticism of the EU’s immigration policies, including the refugee quota system. The SPD also actively opposes immigration and calls Islam an ideology rather than a religion while the Civic Democrats are critical towards the EU and advocate permanent exception from euro adoption for the Czech Republic. The pro-EU Social Democrats (CSSD) received only 7.7 percent of the votes, according to the exit polls, while the liberal TOP 09 movement, considered to be the strongest supporter of further European integration and adopting the euro currency, barely managed to clear the election hurdle as it gained only slightly more than 5 percent of the vote. Babis, who is poised to become the new Czech prime minister as his party’s electoral victory is almost certain, is, however, a controversial figure. The Czech Republic’s second richest man and a billionaire, who owns one of the Czech biggest private employers – the agricultural giant Agrofert – as well as a media empire, he has already served as finance minister and deputy prime minister, but was dismissed due to allegations of financial misconduct. Despite his issues with the law, Babis remains one of the most popular Czech politicians. In September, the Czech President Milos Zeman told the local media that he would name Babis the new prime minister in the event of his party’s victory, even if he were in police custody. The two-day vote was held on October 20 and 21 to fill 200 seats in the Czech parliament’s lower house – the Chamber of Deputies. The voting ended at 14:00 local time (12:00 GMT) on Saturday with most ballots being expected to have been counted by the end of the day. However, the official results are scheduled to be announced no sooner than next week. The results of the Czech elections have become just the latest episode of what seems to be the onward march of the right across Europe. Just a week ago, two anti-migrant parties gained the lead in the Austrian parliamentary elections and are now expected to form the ruling coalition. 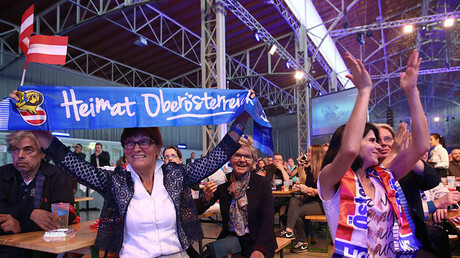 Earlier, the right-wing anti-immigrant Alternative for Germany (AfD) party enjoyed what was called a historic success while Angela Merkel’s Christian Democrats and perforce the Social Democrats suffered their worst results in more than half a century at the September parliamentary elections in Germany. In the French presidential elections in spring 2017, Marine le Pen, the head of the right-wing National Front party made it into the run-off, beating candidates from such major establishment parties as the Republicans and the Socialists. And in the Netherlands, Geert Wilder’s ultra-nationalist Party of Freedom came second in this year’s parliamentary elections.